Happy Thanksgiving! I am grateful for all of you who follow and support Fit Mommy and make it so fun for me 🙂 I hope you have a wonderful day, eat some yummy food and get chance to think about what you are grateful for. 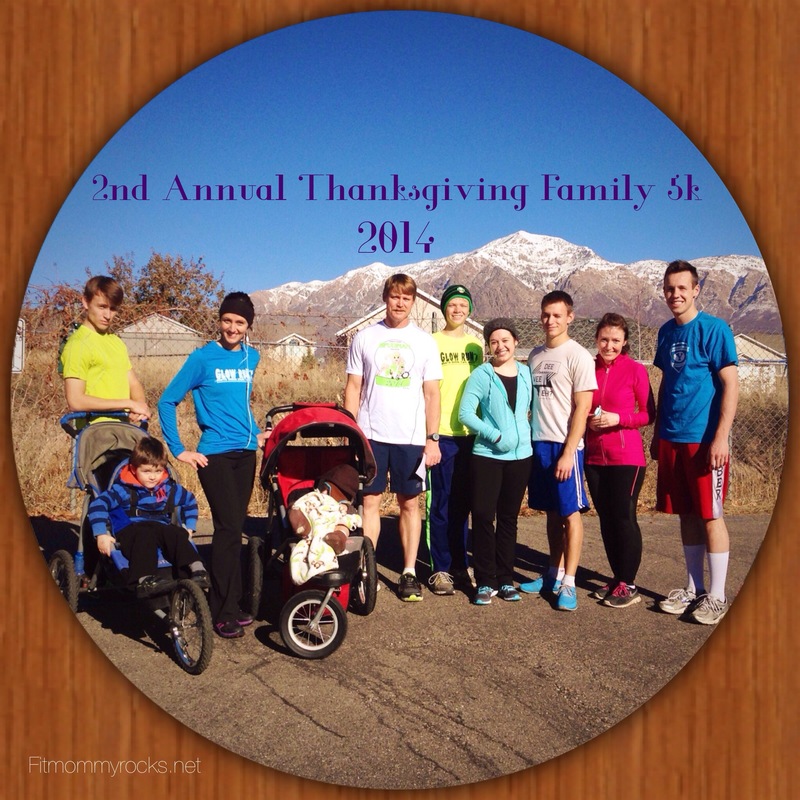 We had our family 2nd Annual Thanksgiving Family 5k. My husband and a couple brothers couldn’t make it this year. This has turned into a fun active family tradition. What family traditions does your family have?? How lovely, thank you! We don’t celebrate Thanksgiving in Norway, but nevertheless; a very Happy Thanksgiving to you and yours, have a wonderful time! It was a fun run. Glad it wasn’t to cold or snowy. It was fun 🙂 me too. It was perfect weather!! Look at that blue sky in the picture!